My first IATEFL conference was Glasgow 2012, and it’s interesting to reflect on how much I’ve grown and changed as both a teacher and a person since then. The IATEFL conference is the best week of my year every year, partly because my IATEFL family just keeps growing. It’s wonderful to be able to keep bumping into so many people who I know online in the rest of the year as the conference continues, and to meet a whole lot of new people, all of whom are passionate about the job they are doing and learning about how to get better at it. Generally I find the conference a much more relaxed affair than when I first attended, as I’ve taken a lot of pressure off myself to try and attend absolutely everything, instead going with the flow and listening to how my body feels: there’s a limit to how long you want to sit in a stream of windowless rooms lit by fluorescent strip lighting before you need to go outside! I’ve also learnt to book accommodation as early as possible, and as close to the conference site as possible, making it much easier to pop back and get rid of heavy books and things before the evenings. The kind of talks I’ve chosen to attend have changed gradually, as there are now more materials writing, management and training talks, reflecting the development in my career, but I still enjoy learning practical ideas for the classroom too, especially since these are the easiest to pass on to my colleagues when I return to school. I’ve also found myself more and more interested in corpora, listening and task-based learning, partly as a result of going to previous sessions on all of these topics at IATEFL. Since last year, I’ve been on the IATEFL Membership and Marketing Committee, as part of which I curate the IATEFL blog. Here’s an interview from the conference where I talk about the blog and how you can write for it. I’m also (I hope!) better at summarising my experience of the IATEFL conference each year. The first time round, there was an emotional and a functional post, and I don’t think I really processed what I’d tweeted. This time, it’s taken me about two days/at least sixteen hours to go through all of my tweets and go down a lot of rabbit holes (!) to put together my summaries of the week, but I feel I’ve gained a lot more from the process than I did the first time round, and I hope readers of my blog have too! Or at least, some of them! At a conference this size, it’s inevitable that you miss some sessions you really wanted to attend. In this post, I’ve collected individual tweets and video links to some of the presentations and events I found interesting, but which don’t fit easily into any of my other categories for posts this year. Richard Smith and Shelagh Rixon have written a book called A History of IATEFL, which is being sent out to all current members, and will soon be available to read online. There was a celebration evening on the Wednesday night of the conference which I couldn’t attend – by all accounts, it was fascinating. I’m really looking forward to reading the book once I get my copy. You can find out more about the Hands Up Project and get involved through Nick’s website. I definitely feel like this applies to me – I was born in 1985, and just about remember life before the internet, so am pretty sure I can class myself as a Millennial. The longest I’ve stayed in any one job was three years (in Brno), I may still be in my current job in 2020 but I’m not 100% sure, and I’ll probably end up as a freelancer at some point. …like this. Focus on meaning before form. Consistently including assessment and evaluation on my courses is definitely an area I need to develop. I find it interesting that ‘time management’ appears on the list as an element of ‘non-verbal communication’. I’d never thought of it like that, but I suppose it is. I found Harry Kuchah-Kuchah’s plenary fascinating a couple of years ago, and wish I could have found out more about how their teacher association research has developed – I hope he writes about it elsewhere. This could be useful after a conference (like now!) or a training course as a way to sum up what’s changed. NWES looks like it could be helpful for thinking about future plans and developments at a school. Although this is about providing extra online practice, I think most of these criteria apply to any and all homework tasks. This post is for the talks I attended at IATEFL Glasgow 2017 which don’t fit neatly into any of the other categories I’ve chosen this year. Sarah’s plenary discussed the importance of ‘psychologically wise’ teachers, who both understand the psychology of their students, and look after their own mental health. You can watch the whole plenary yourself, or read my summary below. There’s also an interview with Sarah recorded after her plenary. I feel like every student needs a little bit of joy in their lives. Every student. Psychology is about the heart and soul of teaching, and psychologically wise teachers can make a huge difference to the lives of their learners. They develop positive relationships, focus on positivity and growth, and nurture their own professional well-being. Hattie’s (2009) meta-analysis lists teacher-student relationships in position 11 of 138 of importance of factors affecting learning. Rita Heyworth points out in her TED talk that kids don’t learn from people they don’t like. Language teaching is inherently social, and requires collaboration, communication, and socio-cultural competence. Psychology is a key part of what we do, but we rarely focus on it explicitly in training or our own practice. Sarah Mercer and Christina Gkonou published a 2017 British Council Research Paper entitled Understanding emotional and social intelligence among English language teachers. I haven’t read it yet, but will, having had it recommended by the people I was sitting with during the plenary. Another book that was recommended was Better Conversations [affiliate link] by Jim Knight. Covey (2004) talks about the emotional bank account. Positive actions in a relationship are like deposits and negative ones are withdrawals. How can you make deposits in your emotional bank account? Work on mutual trust and respect. Be responsive to learner individuality (names, micro conversations). Communication is key. Remember that learners are much more worried about speaking in front of their peers than the teacher. Do they know the names of everyone else in the group? Proactive discipline: if you build good relationships with students, you need less reactive discipline. You don’t earn trust just by being a teacher, you need to deserve it. Sarah also talked about Carol Dweck’s Fixed and Growth Mindset theory. Research shows that you can shift your mindset, but it requires training and support. This connects back to James Egerton’s talk at the Torun Teacher Training Day last month. You may not ever be perfect at something, but everyone can improve on where they are now if they have time, motivation and opportunities. Mindsets are domain-specific: you might have a fixed mindset about speaking or pronunciation, but a growth one about your ability to write in a foreign language. Lots of teacher trainees believe that they can develop their methodological knowledge, but not their interpersonal skills (Mercer’s study, my experience too!). Neuroplasticity supports the idea of a growth mindset. As teachers, we have to own up to mistakes, and show our own growth mindset. We should also think whether we talk about language learning as an ability or talent (fixed mindset), or as a process (growth mindset). Make sure you praise the process and effort, and give *informative* positive praise that is deserved, not empty words. The mindset alone is not enough though. We need to develop learning strategies and support our students. It’s important to recognise our strengths, both as learners and teachers. How often have you ever sat back and really reflected on what you’re good at? Sarah asked us to share two or three things we’re good at as teachers with our neighbours. We need to consider building positive emotions in the classroom explicitly. Positive emotions help us to learn more! 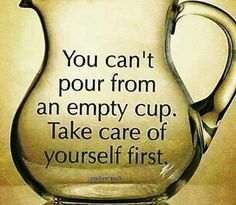 Most importantly, we need to look after our own mental well-being. Our psychology as teachers is mirrored in our students through mirror neurons – if we’re happy, they’re more likely to be happy too. Holmes and Rogers, 2012 talk about the burnout cascade and the virtuous cycle of psychology and motivation – it can be a vicious or a virtuous circle, depending on where you start. This MUST start from us: we must start creating the positivity in our classroom. Happy people have more energy, better motivation, are more creative, are more productive, and are healthier. The very first thing a teacher should do in the classroom is smile. When we talk about CPD it’s important not to add too many ‘shoulds’ – a lot of frameworks don’t include wellbeing, meaning teachers may not end up prioritising it. I’ve been trying to drastically reduce the amount of times I use the word ‘should’ – every time I do, I ask myself ‘Who said?’ It’s taken off a lot of the pressure I’ve previously felt. In her 1990 book Stress Management for Teachers, Sandra Mills breaks down health into physical condition (rest, diet, exercise), mental condition and emotional condition. Pyschology matters. Relationships matter. Positivity matters. YOU matter! Shay noticed that she was only doing needs analysis for adult groups, not for young learners. She made a Survey Monkey questionnaire in Spanish to send to caregivers. They wanted a communicative focus, moving from receptive listening towards speaking, a broadening of their future prospects, more study than fun (see below for activities for each of these three areas), and they wanted English only. Shay challenges the last point, as most of the world is now bilingual, and we should bring the students’ two languages together. Students have opportunities for huge amounts of contact with English outside the classroom. By accepting the students’ own language, we’re modelling tolerance and diversity and establishing a collaborative, equal relationship between the mother tongue and English. Caregivers want to be involved. They may have had bad experiences of language learning themselves before. Caregivers form a key part of the child’s life, so we need to keep them involved: parents as partners. Home and school are not two separate bubbles for children, they’re all one big learning experience: it helps you to be more collaborative between home and school. They give a different perspective to tests and assessments, and can, for example, explain why a child has suddenly started to behave badly. This kind of partnership also improves social skills and behaviour of the child, as it provides a model for how to collaborate. Finally, it leads to better education outcomes. The child becomes more well-rounded and can navigate a multilingual, multicultural environment more easily. On another note, if caregivers are involved, children’s test scores will improve too. Parents can be involved through governance (like textbook selection), meetings, volunteering for activities in the classroom. Caregivers can be invited for open days. We can train parents and caregivers to be able to form realistic goals, and retrain misconceptions like English only. Teachers should be trained with strategies for how to deal with caregivers, such as how to positively deliver messages, and how to deal with any potential conflict. Communication should also be two-way, both to and from the school. We should make sure that there is variation in how you interact with caregivers, and give them the option to decide how they want to be contacted. To develop communication skills, why not try an English/Australian/Scottish corner in your classroom, use role plays for developing empathy, and discuss learning to bridge the gap between home and school. To help students broaden their future prospects, work on projects, try out ‘genius hour‘ so children can do whatever they want for that hour (practises research and time management), work on videos (through e.g. Skype which they may have to use for job interviews in the future), try out My Language Passport from p98 of Teaching Children How to Learn [affiliate link] to acknowledge different languages. To work on language, use songs, choose topics of interest, choose practical tasks that encourage experimentation with language and try Knowing your class p71 of Teaching Children How to Learn [affiliate link] so you can learn more about your students to make things more relevant to them. Shay would like us all to foster caregiver involvement in education. Maybe we could create a framework for involving them. There is a potential negative reaction initially, but research shows that it’s worth it and quality improves because caregivers are involved. She has also written a related article for the IH Journal about bringing parental objectives into YL lessons. Danny encourages his students to explore reasons for grammatical/linguistic choices, not rules, moving from examples to reasons. Why start with reasons, not rules? We can explore how meaning is created. Students can make genuine discoveries about language by thinking about reasons. We can see how different forms interact and we don’t just need examples that fit the rules. We can explore similarities not exceptions, and give learners some ownership of the language. We can use this approach to exploit any text or any communicative task, and avoid ‘sometimes’ rules. Pedagogic rules are often qualified with words like ‘usually’, and we write them as if they’re true, but they’re not. We can avoid artificial simplification and rules that are not true. Students can put reasons into their own words, rather than being given rules that aren’t always true. Although it’s hard for students to create rules, it’s worth it, as they start to understand why language is really used, not just learn rules by rote (he got this as feedback from one of his students). There’s nothing wrong with language; the problem lies with the rules we’ve created as shortcuts. Diane Larsen-Freeman emphasises that reasons underline rules. Research shows that a lot of early learning is lexical, not grammatical, which is why it works well for functional language. He’s also used this approach successfully with modals. The lowest level he’s used it with himself is pre-intermediate, though he’s also seen it being used with elementary. For example, to focus on relative clauses, give students a text with them and rewritten without them. Ask them to compare the two and say why the writer used them in the original text. Maybe to get students to actually use relative clauses, we should just keep making them notice them instead of doing exercises – Danny has found this has really helped his students. Lindsay Clandfield and Jill Hadfield talked about activities you could use to promote interaction between participants on online courses. They were promoting a new book they’ve written called Interaction Online [affiliate link]. You can watch a recording of the full talk. Lorraine Kennedy presented about the effectiveness of feedback. The session was recorded. One of the reasons that I go to the IATEFL conference so regularly is to give me a boost for my own CPD. It’s always a bonus when I get ideas of alternative ways to develop too, and that’s what these sessions reflect. Glasgow continues to develop, and so should we! The opening plenary of the conference gave us an overview of how CPD could be integrated into professional organisations more effectively. You can watch the full plenary at IATEFL online, or read my summary here. There’s also an interview with Gabriel recorded after his plenary. Much CPD is decontextualised, one size fits all, prescriptive, and not relevant to the teacher, leaving 90% of the profession behind, with only a few ‘lighthouse schools’ as the exception to this. A lot of it is self-driven, and it can be very superficial. If they do anything, teachers pick two or three techniques from superficial learning, for example from a one-day conference once a year, and use them too much, meaning it is not effective as it should be. They are often not given the time or support to follow up on CPD, and if an expert comes in to tell them how to teach and they don’t implement it, it’s considered their fault, not the management’s. Teachers need time, resources and support to ensure that CPD is neither useless, nor pointless. Real life CPD needs to be timely, job-embedded, personalized and collegial. Diaz Maggioli says we need to think in terms of learning communities to come together to investigate areas of mutual interest. CPD is an investment, not an expense. The end user of CPD is the student, not the teacher, and more investment in CPD benefits everyone. Mirror coaching: ask a colleague to come and write ethnographic notes about your class. No judgements, just notes about what you do, which you then get. You access your behaviour through somebody else’s eyes, in a way you can’t with video. You can ask them questions too. This is great for teachers who are unaware that their knowledge is updated or outdated. Collaborative coaching: especially co-teaching, which is good for those who are aware their knowledge is outdated. Expert coaching: for those who are unaware their teaching is outdated. This is not a deficit view: you are giving them the strength to renew their teaching. Study groups: a teacher volunteers to show a sample of student work, and explain how they got the students to learn. They have 5 minutes to describe it, then other teachers have 10 minutes to ask questions, then a 10 minute break for the teacher to build a case to respond, then 20 minutes to form conclusions as a group. Critical friend teams: this works as a sounding board, especially when teachers are struggling with new methodology or classroom management. Some of them look for resources for you, others ask questions. Groups are adhoc, but the results should be recorded. It may lead to ideas like collaborative action research, with teachers planning and implementing ideas together. Exploratory action research: teachers are taught to answer questions that are in their context. They communicate this through posters that they share with their colleagues, and it is highly contextualised. It gives the teachers a voice. Lesson study: a group plans a lesson together, then one of them teaches it while the others observe the students learning, They get together and decide whether it needs replanning, then another teacher teaches it, and the process repeats. It’s also highly contextualised. Learning circles: ad hoc professional development meetings. One person has something they want to find out about. They open the circle by asking others what they know and what they want to know. Teachers work together to plan a project together and implement it. They then decide how to publish the knowledge, and close the circle when they’re ready to do so. Mentoring: working with a more experienced teacher who helps you to work throuh changes. These are more personalised approaches to CPD, and work best when pairs are self-selected. Professional portfolio: by putting this together, you reflect on your own development. Dialogue journals: work together with another teacher to record your development and ask your own questions. These are all things which can be done within work time and don’t have to be self-driven. Explore one of the strategies in depth and share it with colleagues. Help administrators find resources to start a small-scale pilot programme, using money in the budget that won’t be used. Gather evidence, and build a case for the maintenance of the project. Talk to colleagues and administrators to start a discussion about embedding PD in your workplace. Come up with your own PD strategy and share it with the world. Join IATEFL, and get involved in the amazing communities of practice that are the SIGs. There’s a summit on the future of the TESOL profession that you can find online and get ideas from. The last is the one he terms the ‘selfie’ observation. He did a survey to find out more about these, and shared some of the results with us in the session, as well as on his blog. The #eltwhiteboard hashtag is a good place to find and share pictures of whiteboards. In the session we looked at one particular whiteboard and our impressions of the teacher and lesson behind it. John also mentioned Malcolm Gladwell’s book Blink [affiliate link] and a study about teachers and first impressions, which Gladwell also referred to in this New Yorker article. John also highlighted the importance of training teachers to observe, so it’s not just the preserve of managers and teacher trainers. I think this is really important, and takes a lot of the mystery out of the observation process. If you know what’s happening from the other side, it shouldn’t be as scary any more. According to a friend who teaches in state schools in the UK, this is a normal part of training new teachers there – I’m not aware of it happening in any kind of formalised way in ELT. Jon Burton is the new CEO of IATEFL. In this interview recorded at IATEFL Glasgow 2017, he talks about what IATEFL is doing to attract younger teachers, and the #myiatefl hashtag which you can use to give feedback on the organisation. As I find myself moving more towards management, training and materials writing, my choices at a conference involve fewer practical classroom ideas, but there will always be some! Here are a few I picked up at this year’s IATEFL conference. How do YOU feel about storms? Think of 2-3 phrases to describe one experience you’ve had. Was it a positive or negative experience? Weigh it up with your partner, then report back to the group. Think about what causes thunderstorms. How would you explain thunder to a child? Read a discussion between two people about their experiences of storms, and an article about how thunderstorms happen. Compare your/your partner’s reactions to the reactions of Rachael and Eric. Do you have anything in common with them? What about places you/they like to be during a storm? Create diagrams to illustrate the text. Compare them to the original diagrams which appeared with the text. Read and adapt your diagrams to better illustrate this text, to make it more accessible for younger readers. clauses: noun + verb + ? These areas are all drawn from Rules, Patterns and Words [affiliate link] by Dave Willis. I know that my grouping here doesn’t reflect the book properly, as it was hard for me to keep up! Hypothesis building and checking e.g. is as long as like if? Find 7 phrases with words ending in -ly. Say them out loud. Where does the main stress fall? Find 5 phrases with be and being. What verbs do they often follow? Find all phrases beginning with I. Which ones are typical of spontaneous speech? Label your diagrams. Adapt phrases from the text. Find 7 phrases denoting movement and classify them. Find 7 phrases denoting change of state. How many phrases are about temperature? How many phrases are about size? What rises? sinks? bumps into? fills up with? occurs? Revises noun groups and adds verbs. Jane suggested focussing more on noun groups in the scientific text, and said that comparing the way these noun groups work in L1 could be beneficial. You can also tell students beforehand that they’re going to test each other on the specified area: this makes them read much more carefully. In the workshop, Jane asked us to identify some of the features above in the text, and plan scaffolding tasks for the learners. Every group came up with something very different, all in just five minutes. The workshop made me feel much more confident about the range of ways you can exploit a single text, and how quick and easy it can be to put together a series of scaffolded tasks for learners to work with. The final stage was reporting back to the whole class. Some groups did it orally, and others made notes on a Post-it. By planning to report, you repeat the task, and sort your language out a bit more, especially if you do the report in writing. Ultimately, as Jane says, the goal of task-based language teaching is exposure, use, motivation and engagement, with lots of doable, engaging tasks, prompting lots of language use. If you’d like to find out more about TBLT, you could try the #tbltchat hashtag on Twitter, or contact Jane directly through her website. You can find more information about consciousness-raising activities and how to select language for a focus on form on Jane Willis’s website. JJ is a coursebook writer and blogger, and he writes fiction about social justice issues. You can watch his full plenary or read my summary below. There’s also an interview with JJ recorded after his plenary. All education begins with what we bring to the classroom. Compliant students answer the teacher’s questions. Engaged students ask their own. He told us about Paolo Freire’s Pedagogy of the Oppressed [affiliate link], a book which he found very influential because it gave him the language and theory to talk about his teaching. Freire taught English to illiterate peasant farmers in the north-east of Brazil in 1950s. He taught with what they brought to class, and was imprisoned for his troubles. One of the things Freire was interested in was praxis: the act of putting theory into action. He also talked about the idea of the teacher as a co-learner. Draw a quick picture to illustrate an issue you feel passionate about, then discuss it. Use images to connect students to other areas and issues. One example of suitable images is Reuters classrooms from around the world. The Washington Post has separate images with captions. You can supplement this with a globe to help students see where the images are from. In a world with Google Maps, I think a globe is still a useful tool – it’s much easier to see relationships when the whole world is in front of you in 3D. Each category is colour-coded. One group discusses each colour, then they work with one person from each group to pool their ideas. Finally, they talk about their ideal classroom. Read and repeat, with students copying each line. Read a poem, then write your own version of it. I am from the immensity of the world. Use drama. This is based on Augusto Boal’s Theatre of the Oppressed, and his book Games for actors and non-actors [affiliate link], which JJ recommends as a source for these activities. It encourages the audience to come up with the resolution of the story. He invented ‘spectactors’ and ‘gamesercises’. Use social justice projects, like Nick Bilbrough’s Hands Up Project. Use visits. A child once asked their teacher ‘Where does the trash go?’ The teacher took the class to a landfill. As a result, the class started a recycling project which continues today. Use stories. Despite all the technology we have, stories are the thing that lasts – they are as old as mankind. Use stories of ordinary people doing great things to bring social justice into your classroom and show resilience. Why do we need stories of rich white people saving the world, when there are so many stories of people saving themselves? I like this story of the junk orchestra in Paraguay. If you’re interested in finding out more about social justice and how to incorporate it in your classroom, you might want to join IATEFL’s Global Issues Special Interest Group. Choose a word of the day, they make a picture to share and illustrate it. Post a picture to illustrate the next unit of the book. Encourage students to discuss challenge. For example, show them three photos: a chess game, a snowboarder and a teen doing a presentation. Ask them which photo best represents challenge and which one they would find most challenging. Is challenge something you only want to engage in if you’re interested in it? If you care about it? Moments of challenge need to be achievable and can involve reflection and creativity. Try a KWL chart: I know, I want to know, I learned. Students fill in the first two columns before an activity, and the last one afterwards. This helps them to notice what they got out of it. Another way to approach photos is with the Visible Thinking see-think-wonder routine. Once students have used this a few times, they’ll always have it in reserve if they’re asked to talk about a picture, particularly useful for exam candidates. Jo Budden also suggests using the routine kind of in reverse: one student looks at a picture and describes it using STW, and the other should try to find the same image using Google. Ask students to describe a photo or experience in a single word. For further challenge, add parameters e.g. choose 3-syllable words, a food, words starting with B to describe X. To follow up, find somebody whose word begins with same letter or categorise the words. Fast finishers who have nothing to do can cause classroom management problems. A fast finisher folder can be really useful: fill it with lots of extra activities: grammar, vocab, creative writing activities etc. It could also be an online folder. Students should know that they can start anytime, but they finish when the class resumes. The answers should be in the folder too, so that students can self-correct. I’m never sure about whether this kind of thing will actually work. I suppose it might if you’re doing lots of long tasks, but for the bitesize activities I often use, fast finishers are more usefully occupied in tasks which don’t require them to look elsewhere, for example remember a sentence from an exercise, turn over your book and write it out from memory. Niki suggested include taking a sentence from an exercise and creating a context for it (much more useful! ), encourage students to replace words with other possible ones, e.g. nouns for nouns, adjectives for adjectives, or rewrite the sentence so it begins with another word, in this case ‘cycling’. They could also rephrase it to make it more emphatic. For pronunciation: say it as many different ways as you can, for example in a tired, excited, angry…way. As a CELTA trainer and Director of Studies at a school which mostly hires newly-qualified teachers, it’s now inevitable that at least some of the IATEFL Glasgow 2017 sessions I attended were connected to teacher training. Here are my session summaries, along with some tweets at the bottom from sessions I didn’t attend. Alastair says that training teachers is just another form of teaching, and I agree! So we need to differentiate training too. I’m not sure why this hadn’t really occurred to me before, or at least, it had in passing, but I’d never really though about how to put it into practice. When training teachers, we’re giving them a model of how to teach. Just as your language students look to you to provide ‘correct’ models of English, so too will your trainee teachers be looking for good models of teaching in the way you carry out training. For example, on a CELTA course in Vietnam, they differentiated language awareness sessions for natives/non-natives. With native speakers, they focussed on grammar, and with non-natives, they focussed on lexis (e.g. collocations, ‘natural’ language). Alastair Douglas and his colleague wrote this up in Modern English Teacher 24/3. Non-natives could also help native speakers with their language awareness. A final way of differentiating training which Alastair is still experimenting with is the option of using more detailed lesson plans for final lessons on initial teacher training courses, with a more in-depth focus on learner profiles, stage aims and the rationale for them. This allows stronger candidates to really show off what they know about their students and what they can do in the lesson, and balances the extra attention that weaker candidates tend to get at the end of such courses. This idea was inspired by Chris Ozóg. Alastair also found that differentiation wasn’t always necessary if techniques were equally new to all trainees. On a course with more and less experienced teachers where they were analysing lexis, he gave more experienced teachers a longer list of items to analyse. Because the techniques were new, it actually took both groups a similar amount of time to analyse the items. A similar thing happened in a CELTA session on using authentic materials, where he divided teachers into natives and non-natives, expecting non-natives to find it easier to identify language areas to focus on. Again, since the techniques were new to all trainees, differentiation wasn’t necessary. To differentiate effectively, know your trainees, and you can tailor the courses to what is necessary. The more you can find out about the background of trainees, the better. Be explicit about what you’re doing so they can learn more about how to differentiate in their own teaching too. The word ‘feedback’ only came into existence with the invention of microphones, and originally meant ‘awful noise’. Touching a hot kettle is an example of negative feedback, because you stop doing it. In positive feedback, action A gets bigger, e.g. in a herd as panic spreads, or when a fire alarm sounds, but it can turn negative if people end up doing something too much. Trainees say written feedback is what they benefit from the most, but how much do we really think about what we write on it? The biggest problem she found was that ‘good’ was the word she used most. This doesn’t help trainees to develop at all, and nor does it promote a growth mindset, something Kate had originally learnt about at IATEFL 2016 and on her MA at NILE. Doing the same kind of analysis on weaker lessons using WordItOut showed she was giving much more useful feedback. Without putting my feedback through WordItOut (yet!) I’m pretty sure that my feedback will reflect similar patterns to Kate’s. I’m going to save her suggested words and have it open next time I’m writing feedback – hopefully what I write will be a lot more useful to the teacher, regardless of how strong or weak the lesson was! Asking trainees the kind/format of feedback they want seems like a great idea! Why don’t I do this?! One trainee said ‘The more feedback, the more you can improve’. Trainees said they often reread feedback more than twice. Oral and written feedback were considered equally important, but trainer feedback was considered more important than peer feedback. Sharing feedback is something I’ve suggested with TP groups who have gelled well, and some groups do it without prompting. I often ask candidates if they mind me sharing aspects of their plan, materials, or feedback with other trainees during oral feedback, telling them exactly what and why I want to share it – nobody has yet said no, and some trainees have told me how much it has helped to see exactly what it is they should be aiming for. I’ve never done a survey of this kind though, probably because I’ve always been a ‘guest’ tutor – maybe one day if/when I regularly work for the same centre, I’ll experiment more in this way! Tracy did a survey with her trainees and found that over 70% of her trainees spent less than one hour reading their written feedback throughout the whole course. She wondered how to get them to apply the feedback more to future TPs. She also asked them what they would like to do if they could have an extra 30 minutes with their tutors: the main answer was to get 30 minutes of feedback and advice on their lesson plan before they taught, including reminders before the next lesson of what was discussed after the previous lesson. Use Review – Reproduce – Retain to counter the effects of the Curve of Forgetting. Trainees review what they have learnt from feedback, and reproduce it in a different form (I think), helping them to remember their feedback better. She also reminded us to ABD: Always Be Demonstrating! Don’t just preach to the trainees, show them how you want them to teach and how to respond to feedback. Tracy says that we should be doing less feeding back and more feeding forwards, leading to the next TP, rather than looking back. A lot of training centres don’t give feedback on the plan before the TP, even though tutors think it would help. Time is an issue though. One of the most frustrating things for me as a tutor is trainees who seem to have the same issues over a number of TPs, and who don’t seem to be reading their feedback at all, since it normally contains suggestions for how they can counter these problems! I like the idea of feeding forward, but I’m still not quite sure how to go about it. One trainer suggests them starting written self-reflection immediately after lesson, pausing for oral feedback, then going back to finish it later. A recent Delta trainee questions how easy it is for trainees to reflect effectively immediately after a TP, when you’re still in the heat of the moment. Tracy works for the TEFL Training Institute, which has a blog and produces podcasts. Bill did a survey with 72 trainers and 51 ex-trainees, asking 6 questions related to LA on courses. These included ideas about confidence with language before/after TP, books that are recommended on courses, whether is LA compulsory, and a few more I didn’t get! Swan is the book most courses recommend, followed by Scrivener, and Parrott [affiliate links]. More trainers recommend Parrott, but trainees don’t buy it. A Twitter discussion after the conference showed that this is partly because it is very expensive to buy in Asia – I’m not sure how many of Bill’s respondents were based in that part of the world. My personal favourite from this list is Scrivener for trainees, especially because a lot of schools have a reference copy of Swan, which I believe is best used as a final resort if you can’t find the answer you need elsewhere! I think Parrott is useful, but Scrivener more closely reflects classroom practice. Most native speaker trainees were petrified of LA before the course. (Sorry, but I can’t read it any better now on a larger computer – you’ll have to ask Bill for it!) He has tried workshops where they do poster presentations on different areas of LA. Bill believes the Language Related Tasks assignment should reflect Language Analysis as closely as possible. When putting together the LRT, some tutors put language in context (which helps trainees to understand it), others decontextualise it (so trainees practise creating contexts for language). Bill Harris’s final word on Easing the pain of LA: hit them with as many support mechanisms as you can! Simon has been teaching CELTA for 35 years’ and has trained in 22 countries, and is very positive towards the course, but he still has questions about the way it has developed over time. There are 42 descriptors in the CELTA 5 booklet, and a candidate is supposed to achieve all of them in 4 weeks. If the 5 descriptors on the graph were like the Premier League, it would have an influence on how courses are run, and which sessions were included. Rapport was one of the key descriptors identified, but it rarely appears on courses as a session: we seem to know what it is, but it’s hard to pinpoint: we know it when we see it. Being more independent is part of what we’re grading trainees on (see page 14), but there’s no specific descriptor for it now, although there used to be. Simon Marshall emphasises that this seems bizarre in terms of value and confusing in terms of achievement. He reiterates that he’s not anti-descriptor in general. For me, some of the wording is confusing/unclear, and I really think they need to be updated, especially to reflect the fact that trainers know that some criteria are more important than others, but they’re all displayed equally to trainees. and when they did activities, there wasn’t much afterwards in terms of error correction, feedback, or building on language. she hit the ball out of the park! but she also knew the language well, and could answer the students’ questions. The same graduate wasn’t allowed to teach above B2 in one school because she was a non-native – she was ecstatic for the opportunity when she moved schools. As Simon said, this is very wrong. When Simon did his course in the 1970s, 7 of his 9 TPs were language-focussed, and he got a lot better at language over the course (echoing what Bill Harris said above about trainers noticing trainees improving their LA). Now, CELTA assessment criteria state that weak lessons at the beginning of the course won’t be held against you. You can get through the course with only two language lessons, one of which is often early in the course. So if you only have one language focussed lessons that actually counts, how can you actually improve? As Simon highlights, skills lessons are largely laid out for you in books, so perhaps we should shift our focus, and therefore also prioritise the descriptors more clearly. Echoing Bill, Simons says LA could also be described as language affinity, language aptitude, language affection? Do they like language? Do they show any impression of being comfortable with it? Language awareness also includes being ‘on the prowl’ for language that comes up in the lesson. We’ve got to make them technicians. In conclusion, maybe our CELTA mission should be: to train language teachers who can teach language! (Though the course can’t all be about grammar!) I think this would be a much more useful mission for a lot of our trainees, although we’d have to think carefully about how to differentiate to cater for both native and non-native trainees. I certainly agree that the criteria drastically need to be updated or at least ranked in some way – come on Cambridge! #iatefl2017 Marisa C: Balloon debate for teaching approaches to promote critical thinking (‘Which guru gets chucked out?’) + Memorable. Since I did an assessed lesson based on listening for my Delta, I’ve been interested in finding out more ways to help my students develop their listening skills. I even did a presentation on it myself at IATEFL Harrogate 2014, heavily influenced by John Field’s Listening in the Language Classroom [affiliate link]. Richard Cauldwell’s book Phonology for listening: Teaching the stream of speech [another affiliate link!] has also been very useful in helping me to understand why it can be so difficult for learners to decode fluent connected speech. I was therefore very pleased to be able to attend presentations given by both John and Richard during this IATEFL. The other presentations summarised in this post were from the Forum on Listening. I haven’t tried to summarise Jane Setter’s plenary on intonation for two reasons: 1. I couldn’t get it all into tweets, 2. to fully appreciate the intonation differences, you really need to watch/listen to it yourself! You can also watch an interview with Jane recorded after the plenary. I definitely feel like I understand intonation and how to teach it much better now! Sue Swift also wrote about the plenary at ELT Notebook. John started by telling us that he has been ‘worrying about listening for the last 34 years’. The typical comprehension approach starts with pre-listening and activating schemata, something that doesn’t reflect real life. We also don’t pre-teach vocabulary in real life, so it’s counter-productive in training. The next step is to set questions to target listening, then play the recording, check answers, and replay key sections (providing answers as we go). However, this approach doesn’t actually train learners to become better listeners. John thinks that we can get a lot more out of the comprehension approach. We should forget about activating schemata and pre-teaching vocabulary, as these don’t happen in real life, though we should quickly introduce students to the context and the number of speakers, as they would normally know this, e.g. two people talking on a bus. It isn’t usually the script that causes the problem, it’s the recording. The item writer is not involved in the recording. Tasks also need to be carefully thought out, as we give away in writing a lot of what’s in the recording, and encourage test-wise strategies, rather than strategies for general listening. To improve their approach, the teacher needs to prepare the listening in detail – using the script WITH the recording. What’s perceptually difficult? There should be a first play for SS adjust to speakers’ voices, listening globally without the pressure of questions, and without using questions to guess in advance what they’re likely to hear. If you’re going to use questions, set them before the second listen, so that they don’t interfere with the learners’ perceptions the first time they hear the text. Check and DIAGNOSE reasons for learners’ answers, then replay parts identified by you AND students as perceptually difficult. Transcribe short sections, especially if they are particularly problematic. Listeners are individuals, each with their own problems with a recording, and these change over time and with experience. If you can afford it, provide a listening centre where listeners can work on their own problems individually. Give learners a transcript at the end of the lesson and ask them to listen again. Set listening homework. Though my students almost never do it – I need to have more engaging tasks and clearer developmental reasons for them to do it! Do we need better materials? YES! New writers often don’t have a clear idea of what a skills approach is. Materials should take pressure off the teacher, guiding them, and focussing on the difficult parts of the recording. Field suggests open-ended questions, so the class can talk about possible answers. Sometimes you could use short clips with a single question, instead of the more normal long excerpts with multiple questions. You could also embed oral questions in the script rather than written questions to stay within the same modality (so have the speaker ask a question, then pause for answer). Materials should demonstrate a better understanding of the processes that underlie successful listening and design questions to target them. Sometimes context makes us distort the phonemes we think we’ve heard to make it fit the context. To handle the speech signal, we have to adjust to speaker’s voice (pitch, speech rate etc), then match the set of squeaks/buzzes we hear to the sound system of English. But do phonemes really exist? They are so variable, maybe they don’t. This echoes Richard Cauldwell – see below. To handle words, we have to divide connected speech, recognise spoken word forms, link them to what’s know about the topic. To parse, we must hold in our heads the words which have already been said, recognise grammatical patterns, and work out the word’s sense in it’s co-text. To construct meaning, we have to put what we’ve heard into a wider context, interpret new information in relation to this, infer information the speaker has taken for granted, and link words like he/she/it to what they refer to. This is followed by putting it into wider discourse (I couldn’t keep up at this stage!) There’s an awful lot going on! How does this knowledge help us? An expert listener does these things automatically, but L2 listeners need lots of effort to do each of these things, so it can be hard for them to form the ‘big picture’ of what they’re listening to. Up to about B1, learners have to give a lot of attention to decoding at word level, limiting their ability to tap into wider meaning (I’ve definitely found this with Polish). Strategy instruction should therefore mainly be done with lower-level learners to equip them with the fact that they often can’t make wider sense of what they’re hearing. Strategy training helps them with real-world situations and to compensate for gaps in text. Lower-level learners needs process training and strategies training to fill in gaps. You can use the same audio, but vary the task to target any of the five levels of listening. Richard relishes fast, messy speech and tries to find ways to help learners understand it. His CoolSpeech app was an ELTons 2013 winner for digital innovation, and he is currently in the process of writing a follow-up to Phonology for listening: Teaching the stream of speech [affiliate link] which will provide a clear syllabus for listening for language teachers to work from. All words have multiple sound shapes. Decoding is the skill of recognising words in the sound substance (or ‘fog’ in John Field’s words). The sound substance is the acoustic blur of speech, which exits the mouth, travels through the air, and hits the ear. It’s what exists before perception. Richard uses a metaphor for different speeds and qualities of speech. The greenhouse is the place for citation forms. In the garden, sounds touch each other gently through the basic rules of connected speech. In the jungle, wild things happen and all bets are off. He argues there are different goals for pronunciation (clarity/intelligibility) and listening (understanding fast, messy, authentic speech). Teachers tend to brush the mess of sound under the carpet, so even CPE Grade A students have ‘can’t do’ listening points. Every word has a ‘word cloud’: a range of possible word shapes in fluent speech, of which the citation form is the least likely. The examples of ‘and’ above were all taken from a single conversation, with only one instance of it even vaguely approaching the citation form. There were a lot more, but I just couldn’t keep up! To help student, we need to delve below the word that is meant to the sound substance itself – what sounds were actually produced. Field and Thorn both advocate using short clips to help students focus (see ‘the bathtub experiment’ below too). Audacity is the best tool to help you break up the stream of speech. The earworm should be short term, memory length, annoying, and stick in their head to prepare them for perception. I sometimes wake up with words or phrases like this in my head from foreign languages. If you’d like to find out more, have a look at Richard’s website. After the conference, I noticed that Richard shared Tubequizard as a link on his handout – it’s an excellent way to help students to focus on connected speech. Marie teaches students who attend full-time classes at IH London. She finds her students only get so far with listening before they begin to disengage. Sheila Thorn inspired Marie to start trying different ways of approaching listening in the classroom, and after listening to an episode of the The Moth podcast, she realised she had the perfect material to use, talking about a man who sailed across the English Channel in a bathtub. The only problem was that it was 17 minutes long! Marie decided to break it into a series of mini episodes, each with a cliffhanger. She then used these over a series of lessons. Marie found that the best texts to use as episodes have a clear narrative, but are outside normal experience. In this case, pure sound is better than video, as students are more invested in understanding what they’re hearing, and will therefore try harder to apply the decoding strategies. If they have pictures to help them, they don’t need to work so hard to apply the strategies. Once she had the episode, she asked two questions: What stops them underrstanding? What will help them understand later? Decode past perfect v. past simple when listening, first as a gapfill with a section they were familiar with, then listening to the next part of the story and saying what they heard. Say why a speaker would choose one particular phrase, or why they would repeat it. Listen to his description of a problem. Draw it on mini whiteboards. The storyteller talked about English/French attitudes to each other, so Marie asked them to research it, after which the students understood the jokes better. Vocab was a problem, especially familiar words in a new context, so she got students to listen and complete a sentence, then think about the meaning. What are the benefits of using an ‘adventure in episodes’? There’s no need to reset context or activate genre knowledge each time. Prediction is a natural part of listening to such a story. The students were really motivated to find out what happened next. Intensive decoding work really bore fruit – they were invested in doing detailed intensive listening work. It also developed their autonomy. I really like this idea, especially for summer school or 121 lessons, though I think it could take quite a lot of work to prepare. It reminds me of my French teacher introducing us to the French musical version of Roméo et Juliette, with us listening to one song each week and trying to follow the story. You could also use the BBC Short Cuts or Listening Project podcasts. Of course, once you have it for one adventure, they don’t date much, so you should have it for the future. If teachers share this kind of thing on blogs, you could have examples to draw from. If you choose to do this, please share the link below! The conventional classroom layout has speakers at the front, but Clive wanted to know what happens if we change where students/teachers are in the room. If the teacher is in control, it’s not easy to monitor, and students don’t have much of an opportunity to work on their own listening strategies. It’s also difficult for students to transition from the controlled environment of the classroom to the unguided environment of the lecture hall (Clive works in EAP – I think this is true all the time, and this prompted by IATEFL Harrogate presentation). Clive investigated how listening from a smartphone changed the dynamic, encouraged autonomy and gave students the opportunity to employ strategies. He designed the materials based on two sources: taken from YouTube or by creating his own recordings. To get the recordings to the students he used TubeChop for YouTube and Audioboom for his own recordings, then a link shortener (my preferred one is bit.ly). Recognising that these took longer to prepare than coursebook audio, Clive deliberately selected easy-to-prepare tasks, for example two-column notetaking. Each group had one phone, and the weakest student was normally in control of it. Clive found out that students became more aware of listening strategies they employed when using smartphones. Students were more able to use context/syntax to decode problem areas as they could play it again as many times as they wanted to. Students were also encouraged to make their own decisions about when and how to review extract. I’ve always played with seating arrangements, but it had never occurred to me to do it with listening extracts before. This seems like a great way of helping mixed-ability groups in particular, and also helps students to get used to background noise when listening, something we don’t do enough of. #iatefl2017 Give Ls TIME to hear a sound. Then tasks to notice the sound. McKinnon & Meldrum. No pressure to produce. Here’s Pete Clements’ summary of the above session.